Best Price Guarantee | Vegas.com: If you purchase your tour/s via the link provided on this page and find a better price for this Pawn Stars VIP Tour, Vegas.com will match the competitor's price and refund the difference. That’s customer care you can count on. Couch potatoes rejoice! There's now a reason (well five reasons, really) to turn off your TV and come to Vegas! Tune in to your favorite Las Vegas-based reality TV shows in person and possibly even meet the shows' stars on this tour, including "Tanked," "American Restoration," "Counting Cars," "Toy Shack" and "Pawn Stars." TV enthusiasts will spend 30 minutes at each stop, starting with Animal Planet's hit show "Tanked," which dives into the operations of the nation's largest aquarium manufacturing company, Acrylic Tank Manufacturing (ATM). Visit the 13,000-square-foot facility where brothers-in-law Wayde King and Brett Raymer create one-of-a-kind tanks including pyramids, kegs and cars for all sorts of clients, including casinos, churches and celebrities. Next you'll experience more of the History Channel's most popular shows with exclusive stops at the garages from "American Restoration" and " "Counting Cars." This is the only reality TV tour that stops at these locations. Metal artist Rick Dale, his teenage son and the staff at Rick's Restorations take rusty, old items like slot machines and gas carts and magically return them to their original luster. Cruise by "Pawn Stars" regular Danny Koker's automobile restoration and customization company, Count's Kustoms, home to the show "Counting Cars." And ogle collectible toys like vintage Hot Wheels and Transformers at The Toy Shack, owned by "Pawn Stars" toy expert Johnny Jiminez. Finally, visit the home of the History Channel's top-rated show, "Pawn Stars," featuring the family-run Gold and Silver Pawn Shop. 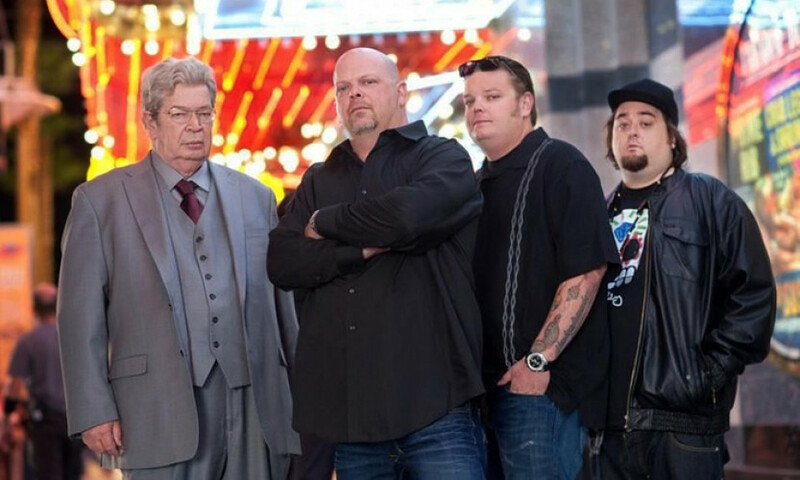 You may even rub elbows with one of the show's stars such as Rick Harrison, Richard "Old Man" Harrison, Corey "Big Hoss" Harrison and Austin "Chumlee" Russell. The shop itself is packed with thousands of interesting items, from artwork by famous artists to Super Bowl rings. Note: The opportunity to meet and greet the shows' stars is not guaranteed. Inside tours depend upon filming schedule. Rick's Restorations is closed on Saturday so guests will stop at the non-traditional car customization shop Welder Up instead, home of the Discovery Channel television show "Vegas Rat Rods." Owner Steve Darnell designs award-winning rat rods which have been featured in national publications like Hot Rod Magazine, Diesel World Magazine and Rat Rod Magazine. Meals Included: No, but bottled water included.